It is my dream to one day take my family on a long trailer trip and when I saw the HC1 Travel Trailer I got all excited again. 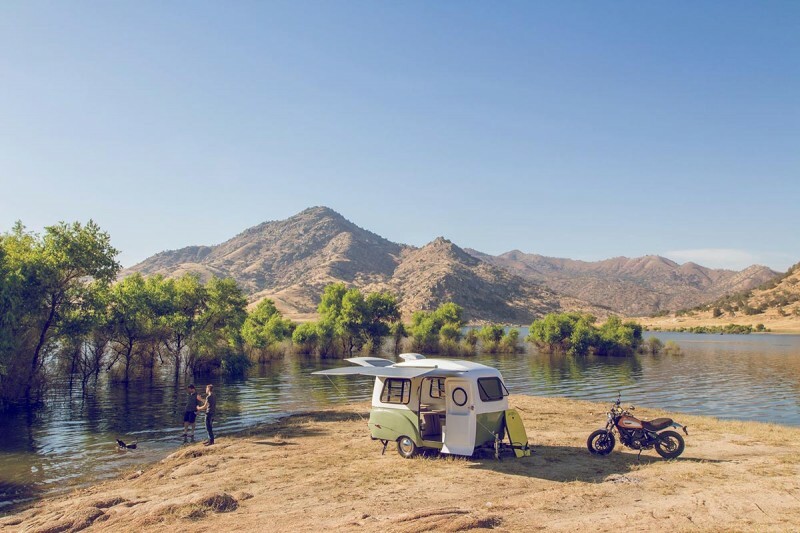 Unlike most trailers, the design of the HC1 is especially light (1100 Lbs. dry weight) which means that it can be towed with a standard vehicle! Another outstanding feature of the HC1 is that its internal configuration is modular- you can take out the interior if you want to use it as a hauler (to carry a kayak or motorcycle) or pack it full of features- a bed the size of your choice, a kitchenette, toilet, storage etc. The exterior design of the trailer is very well planned. It has a retro-modern look and comes in five refreshing colors- pacific blue, bishop red, mojave sage, sequoia orange and mammoth white. The exterior shell is made from 100% bonded fiberglass and on the roof you have a solar panel (so cool). The rear hatch is especially large (55” x 54”) so that it is easy to load and offload equipment. The designers also took care of ambiance details like placing large panoramic Jalouise windows so you can enjoy the great sights and a Bose® Bluetooth sound system on the back. 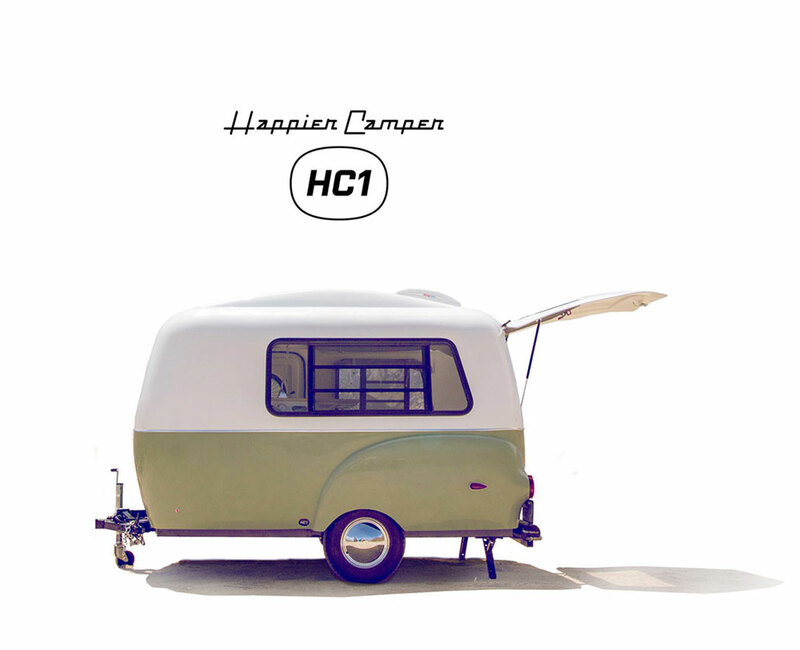 The dimensions of the HC1 trailer are 13’ x 7’4” x 6’ 1” and it can sleep up to 5 persons.